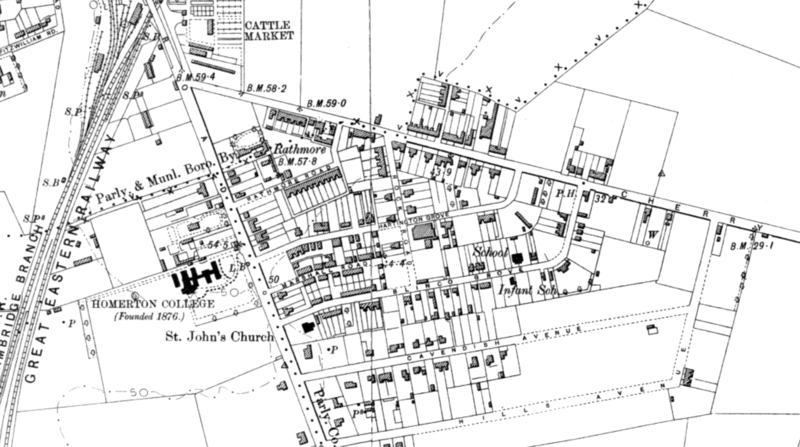 At the start of the 20th century, most of Queen Edith’s was countryside. The north-western corner around Rock Road (above) was the only real built-up area. Over a hundred years later, much of the area is showing the strain of its vintage, with its narrow streets and minimal off-road parking unable to cope with the demands of residents and commuters to the area. Of all the Cambridge wards, Queen Edith’s has the highest proportion of households with two or more cars, at 29%, and the lowest percentage with no car, at 25%. These roads also have to handle the parking associated with Hills Road Sixth Form College, Homerton College, Cambridge Leisure, and the increasing number of Cherry Hinton Road and Hills Road shops and restaurants. Our county councillor Amanda Taylor responded to requests last year from residents in the Rock Road area to ‘do something’ about parking. She organised an informal survey of their opinions and followed this up with a public meeting back in February. As a result of all this, Cambridgeshire County Council has now agreed to take the next step and officially ask residents if they want some sort of ‘parking scheme’. Councillor Taylor writes that the streets included will be Elsworth Place, Rathmore Road, Hartington Grove, Rock Road, Blinco Grove (and Magnolia Close), Marshall Road, and the sections of Hills Road and Cherry Hinton Road which link these streets. Residents will soon be receiving a mailing from Cambridgeshire County Council outlining the possibilities. Several other neighbourhoods in Cambridge have parking schemes. Here’s a typical example of what’s involved, from the Tenison Road area. One knock-on effect from these schemes, however, is that parking pressure increases on adjoining streets. In this case it would inevitably see increased demand for parking spaces in the likes of Rustat Road, the Lichfield Road area, Cavendish Avenue and Luard Road. A further complication is that the County Council and City Council are jointly considering a city-wide parking scheme arrangement. This was due to be considered at a committee meeting on 1 November, but the item was withdrawn at the last minute, despite supposedly having been worked on for months. A resident who went along to complain and find out why, described it to me as “an absolute shower of a meeting”, with the reason given for the postponement apparently being the “need to get it right”. The City Deal’s proposals to tackle congestion do include the expansion of on-street parking controls, including greater use of Residents’ Parking Zones. However, these are very dependent on the results of the current delayed review. As has been the case with so many Cambridge transport issues, some of the clearest thinking on parking has come from the Smarter Cambridge Transport pressure group, where I play a small role. You can read the group’s comprehensive thoughts on parking here. I like the Smarter Cambridge Transport City-wide and setting-specific ideas better than a small-area solution. A 5-day visitor permit seems very expensive to me, if you have people coming for just a couple of hours (maybe I don’t understand how they work). I think, our narrow road fills up first thing (by 7 or 8 am) with white vans for builders (etc) working in our road and the (endless) large building sites around us. Sixth formers must be very peeved to not be able to park, arriving later on. Evenings and weekends are used by Hills Rd Sixth Form and Homerton College courses and events. Camyoga in town even advertises our road for free parking (or did last time I looked on their website). Because we are a cul-de-sac, we have lots of tooing and frooing of cars just looking for a space. .. I used to live on Blinco Grove, so I think I can comment on this. At that time there was a consultation on residents’ parking which was rejected. There was little problem with parking there until the council totally ruined the park and ride system, thus encouraging people to drive closer to the city centre. Perhaps this was done on purpose? This has created more congestion, which the council want to solve with several more initiatives, including residents’ parking, city deal, new roads for buses through greenbelt land etc. etc., the combined cost of which is many times more expensive than making the park and ride parking free or even subsidised. Amanda Taylor is at the heart of proposals such as residents’ parking (you may have seen her on “Parking Wars”), cycle lanes that are shared with vehicles and the destruction of trees, green verges and all that is pleasant in our city. I have another councillor from the same party on my doorstep telling me that schemes are going to go ahead irrespective of the results of consultations. I hope that she changes her mind and begins to reflect the views of residents. If not, I hope that voters think long and hard before re-electing her, because a strong message needs to be sent to the council that residents are not happy with their batty schemes. To be fair to Amanda Taylor, she’s on the other side politically from the councillors who drove through the short-sighted and damaging Park & Ride charging scheme, and certainly opposed that. Indeed, she’s on the other side politically from most of the County Council’s plans, so we need to be careful who we ‘blame’. Fortunately at the last County Council elections the largest party (the Conservatives) lost their majority, and the other parties were able to put a stop to the autocratic ‘cabinet’ system of management which had allowed unpopular and often plain spiteful decisions to be made without proper debate. I still think the County Council is a dreadfully run organisation, continuing to make poor decisions on a frequent basis. But as she is a member of the Liberal Democrats, there is only so much that Councillor Taylor can do. Her party has barely a fifth of the seats on the council, and decisions are frequently made on a tribal basis, to everyone’s detriment. At the end of the day, councillors representing places as far away as Wisbech and Sawtry influence transport in Queen Edith’s as much as the councillor we elect. That’s our biggest problem. While I may agree with you on what I have seen of the running of the council, I made no comment on Amanda Taylor’s opinion of the park and ride. Is Amanda Taylor against residents’ parking, cycle lanes that are shared with vehicles and the destruction of trees and green verges? If so, this is very good news, and will be music to the ears of local residents. I think you know, though, that she is in favour of all these things, to the detriment of local residents and her electoral chances. This is very regrettable all round. What we need is a councillor who more closely reflects the views of residents and can be a champion of these in council meetings. We’ll have four or five people to choose from next May as our next County Councillor – presumably including Councillor Taylor – and we can only hope we have a difficult choice to make because they’re all people who closely reflect the view of (the majority of) residents. I’m the eternal optimist. And the Queen Edith’s Community Forum will be running a ward hustings, just as we did for the May 2016 City Council elections. I know that won’t help with decisions to be taken between now and next May but at least QE is developing channels for non-party -political discussion of the changes proposed for our neighbourhood and for raising awareness of why City and County Council elections do matter. I just counted up the number of parking spaces which will be lost in Marshall Road by comparing the proposed plan with the current Google StreetView. I make it 41 spaces lost. Marshall Road is not empty at night, so those 41 cars will be forced to compete for parking places in the other streets. Note that many (but strangely not all) white H lines become double yellow. (I live in Blinco Grove). Two weeks into the new residential parking scheme around Rock Road, I can confirm that Cavendish Avenue is reaching breaking point. The parking scheme has been a classic fudge of a solution having simply dumped one area’s parking problems onto the adjacent area. Cavendish Avenue has been struggling since the Homerton College development but the new scheme has made a bad situation much worse. We now have increased numbers of Homerton College and Hills Road College parkers to add to the periodic parking of Morley Primary school parents and taxi drivers. Drivers are even parking on the grass verges down Baldock Way. Levels of noise and pollution have inevitably increased and navigating down the Avenue is fraught with difficulty as it is basically reduced to a single track. 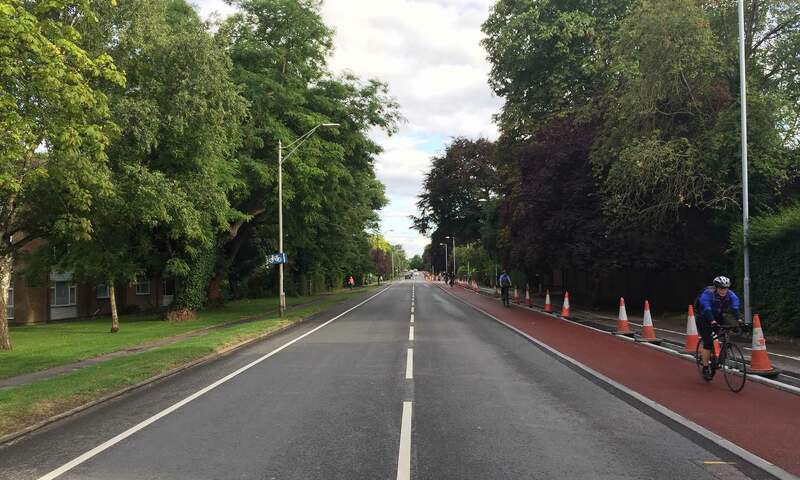 Perhaps supporters of the scheme felt that filling the Avenue with parked cars was acceptable as residents there have driveways on which to park their own vehicles. However, exiting these driveways is a problem given the reduced visibility due to vehicles parked closely on either side of the openings. Painting white lines across driveways is not cheap (£100+ to the resident) and in any case carries little legal weight of deterrence if drivers choose to ignore them. So what can be done to help improve the quality of life of residents plagued by traffic and parked cars on what used to be a quiet, leafy avenue? In the first instance, surely Homerton College and Hills Road have a responsibility to deter their student commuters from making local residents’ lives intolerable. What is the Council doing? Despite all their expensive schemes to get cars off the road, why have they failed so miserably in this part of Cambridge? What incentives can they offer to these student commuters to cycle in or take a bus? Perhaps the residential parking scheme should be extended to Cavendish Avenue and surrounding roads. As soon as the parking scheme was announced, it was entirely predictable what was going to happen. The parking scheme in the Blinco Grove-Elsworth Place streets was introduced in response to growing demand from residents there over many years, following a 2-1 vote in favour of the Council’s parking scheme. People were finding it increasingly difficult to park within walking distance of their homes — a particular issue for the elderly and infirm and people with young children. Not only that, but some streets had cars parked on the pavements to such a degree that people had to walk in the road. TD is correct that the colleges should deter their students from bringing in cars.They try — but don’t have much success, possibly because (especially at HRSFC) students come from areas without public transport. I would like to see the college get the students to park at the Park & Ride sites and run a shuttle bus service from there to the college. One of the reasons parking has increased is the parking charge at the Park & Ride sites, which I and others in my party have opposed since 2013. I am pleased to say the Tories have finally admitted it was a mistake and it looks probable that they will scrap the charge next April. The County Council will be consulting other areas of Cambridge as to whether they want residents’ parking over the next year or so. As we’ve said in our Queen Edith’s leaflets, it is not the right solution for everywhere, but it will be interesting to see whether other neighbourhoods vote for it. In the short term, limited waiting parking restrictions are being worked up for Cavendish Avenue, and I have asked the Council for urgent action to protect the grass verges in Baldock Way. I post updates on my website at https://amandataylor.focusteam.org/2017/11/04/residents-parking-update-2/#page-content.